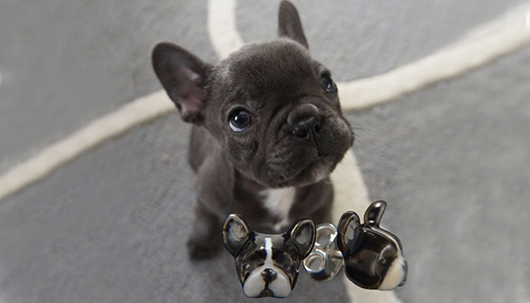 Have you heard about the comfortable and comforting earrings from Dog Fever? The dog-inspired jewelry dedicated to man’s best friend includes studs in sterling silver and enamel painted onto sterling silver. This symbol of enduring friendship is a unique and fun way to celebrate the bond between people and their pets. Dog Fever jewelry is perfect for the dog lover in you, or in your life; you can be pretty sure that your gift is not one that will be duplicated! Designed and manufactured in Milan, Italy, Dog Fever earrings present an innovative design and fine Italian craftsmanship.